At the 2018 Statesmen Chorus Officer Installation and Awards Banquet held at Campioni's on January 18, 2018, Don Cadwell was announced as the Statesman Chorus Barbershopper of the Year. Don is an at-large member of the Statesmen board and serves as the Chorus Manager. In addition, he is in charge of chorus uniforms. At the 2017 Southwestern District Spring Convention held in Fort Worth, TX on May 5 - 6, 2017, Randy Rensi was announced as the Southwestern District Barbershopper of the Year. Randy is the current SWD Director of Contests & Judging. He is a certified contest administrator. Randy is an active member of The Statesman and Houston Tidelanders choruses and multiple quartets including Twilight Zone, the 2015 SWD Senior Quartet Champions. Here’s a free and easy way you can support the chorus financially. 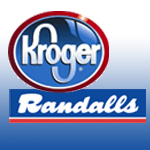 Simply link your Kroger Plus Card ( if you don’t have one, apply for one now ) and/or your Randall’s Card to The Statesmen Chorus. We will receive from the stores a percentage of your purchases each and every time you shop there. Note, even though you have signed up in the past, you MUST renew your Kroger Plus link as their new program begins July 1 and you must take the letter to a Kroger cashier and have it scanned to link your card to the Chorus. Curious about what you're missing?